The Qur’an said that this was the first house built for humanity to worship Allah. 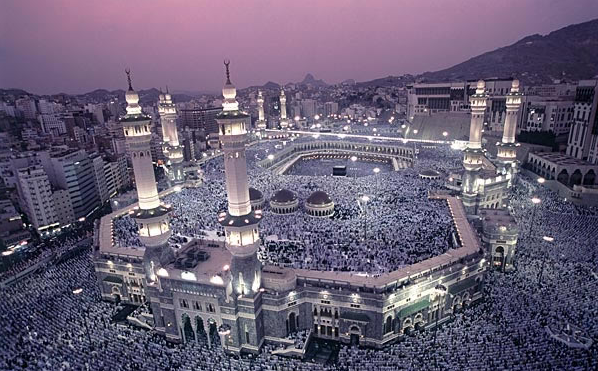 The most famous monument in the world, Al Haram mosque or “Grand Mosque” is located in the city of Mecca, Saudi Arabia. It is the largest mosque in the world and surrounds one of Islam’s holiest places, the Kaaba. The mosque is also known as the greatest Mosque. Current structure covers an area of 400,800 square meters (99.0 acres), including outdoor and indoor praying spaces and can accommodate up to 4 million people during the period of the Hajj, one of the largest annual worship of the Muslim in the world.